This is a novella of 27500 words or approx. 95 print pages in the In Love and War series, but may be read as a standalone. This story is a digital premiere and has never been published previously. The basic idea behind Dead World was that I wanted to tell a story where Anjali and Mikhail are hunted through a hostile and deserted territory and have to rely on their wits and whatever they find on site to survive. And of course, territories don’t get any more hostile than a radioactive wasteland. The city of Khodemchuk was largely modelled after the most famous radioactive wasteland in the real world, the Ukrainian city of Pripyat in the Chernobyl exclusion zone, combined with other real world abandoned towns such as the beach resort of Varosha in North Cyprus. 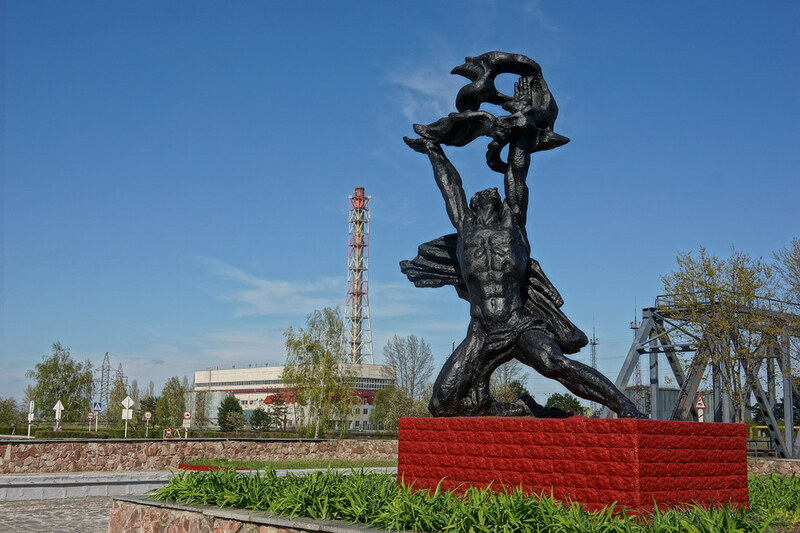 The planet of Shashenok and the city of Khodemchuk were named after the first two victims of the Chernobyl disaster, two technicians who died from the immediate effects of the explosion. Other places and businesses mentioned are named after power station employees who died as a result of the Chernobyl disaster as well. Like Mikhail’s lost homeworld of Jagellowsk and Unity Station in Graveyard Shift, Shashenok was fatally irradiated not as a result of the war, but as a result of Republican incompetence. As Anjali remarks at one point, the Republic is really its own worst enemy, because Republican research and technology has the tendency to go horribly and fatally wrong. Viewed in this light, it is also highly appropriate that the Republic lionises Prometheus, because the legend of Prometheus is a parable both for progress and its costs. Though initially, I only gave Khodemchuk a Prometheus statue, because Pripyat has one. 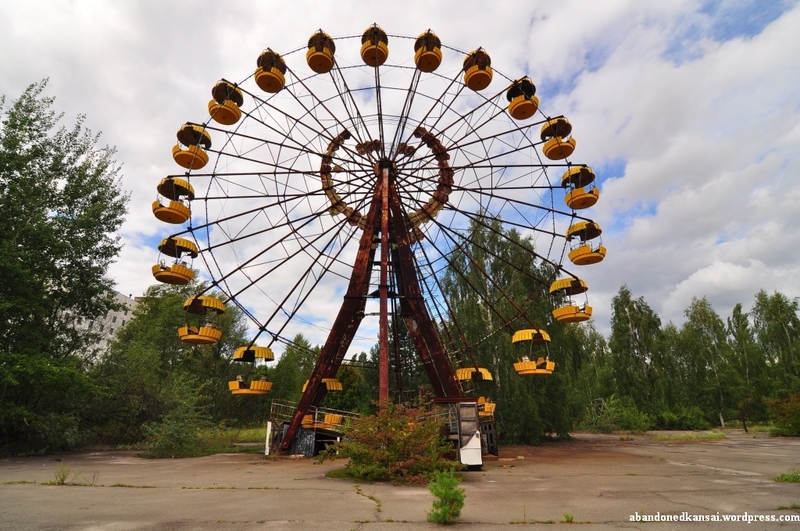 Pripyat’s most famous “sight” is of course the abandoned fun fair and its Ferris wheel (coincidentally, I took a ride on an identical Ferris wheel in 1989 in Latvia, when it was still part of the Soviet Union). Besides, few things are creepier than abandoned amusement parks. So I gave Khodemchuk an amusement park and a Ferris wheel as well and made it the setting for the climax. The bounty hunter Nikolas van der Falk was originally intended to be a Boba Fett type character, taciturn but deadly (okay, so Boba isn’t all that deadly). However, van der Falk decided that he’d rather be a snarky Deadpool type. Through van der Falk we also learn that the Empire views Anjali and Mikhail mainly as an embarrassment to be dealt with as discreetly as possible rather than as traitors who must be recaptured and put on trial. As a result, the Empire is much more pragmatic about Anjali ad Mikhail. But then, on the Republican side, the hunt for Anjali and Mikhail is very much a personal mission for Colonel Brian Mayhew, which makes him so very determined to recapture them. And the poor guy cannot even understand why. Colonel John Smith, the tactical genius from Old Earth, whose missions and strategies are studied at the military academies of both the Republic and the Empire, is of course Colonel John “Hannibal” Smith, leader of The A-Team. Now I’m a huge fan of The A-Team, which is one of my all-time favourite TV shows. And so I put A-Team references into a completely different military science fiction adventure set either in a completely different universe or centuries to millennia before the event of In Love and War. The basic idea was that The A-Team is required viewing in the military academies of the future and that no one is aware that it’s just a TV show. I liked that idea so much that it became a kind of running gag and so I used it for the In Love and War series as well. Besides, like the A-Team, Anjali and Mikhail are very much modern knights errant, helping others while trying to stay a step ahead of their pursuers, so the A-Team reference is highly appropriate. And Anjali’s improvised plan to trick van der Falk is very much the sort of thing the A-Team would do. Though on second thought, I should have got in a MacGuyver reference as well. The Accords of Logabirum, which are mentioned once again, are this universe’s version of the Geneva Convention. In the real world, Logabirum is a suburb of the East Friesian city of Leer, by the way. I chanced to drive through Leer, when I found myself in need of a name for yet another planet in the In Love and War universe, so I borrowed the rather cool sounding name I saw on a town sign. The cover is once again stock art by the talented Thai artist Grandfailure.